What Are Your Rights If Your Plane Is Delayed Or Cancelled? Each and every day, thousands of flights, in all corners of the world are delayed or cancelled for a number of reasons. From bad weather conditions and air traffic congestion through to technical issues and delayed arrivals, there are lots of reasons why your flight may be delayed or in some cases cancelled. And if you booked a flight that departed from Europe, or if you travelled with a European airline, under EU law, if your flight was cancelled or delayed, you could be entitled to compensation. However, it’s worth noting that for this EU law to apply, your departure destination must have been in the UK, anywhere within the European Union or in Norway, Switzerland, Iceland, or Liechtenstein. So what are you entitled to? What you are entitled to depends on how long you have been delayed for. For example, if your flight is delayed for 2 or more hours, under this law, the airline you are travelling with must provide you with food and drink, access to emails and phone calls and accommodation if your flight was delayed overnight. You will be given vouchers at your departure airport so that you are able to access everything you need however, these must be within reason. For example, an airline will not reimburse you if you use your vouchers to purchase alcohol, expensive meals or if you check yourself into a luxury hotel. If your flight is delayed for 3 hours or more, you automatically have the right to food and drink, accommodation, emails and phone calls. But that’s not all… you will also be entitled to compensation. If your flight is delayed for 5 hours or more you don’t have to take the flight and will be entitled to a full refund for the flight, a full refund for any other flights you have had to book, all food and drink purchased any accommodation. Finally, if your flight is cancelled you have the legal right to demand a full refund, a full refund for your replacement flights and help with the things you need whilst you wait for your replacement flight such as accommodation, food and drink and any other expenses. Cancelled flight compensation can be obtained by using a claims company, usually on a no win no fee basis or if you think you can do it yourself and don’t mind the hassle then submit a claim to the airline. 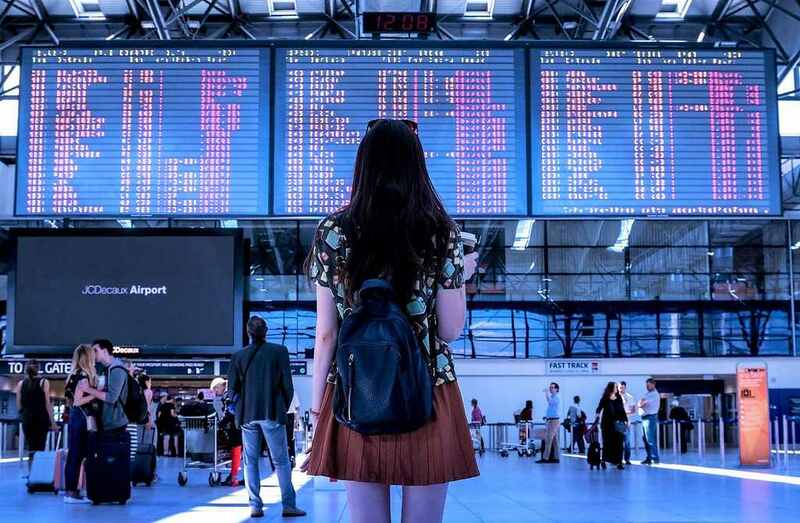 The amount of compensation you are entitled to will depend on a number of factors including when the flight was cancelled, the distance of the flight and the departure times of the rescheduled flight. So if you have experienced a delayed or cancelled flight, make sure you know your rights!